COBDEN, May 17, 2018: The Ottawa Valley Cycling and Active Transportation Alliance (OVCATA) will be encouraging Renfrew County seniors to get out cycling and walking, with help from Ontario's Ministry of Seniors Affairs. OVCATA is receiving $10,300 from the Ministry to fund the project Renfrew County Seniors' Active Transportation (RCSAT). The project will offer education, encouragement and coaching to seniors across the County by working with existing seniors' groups affiliated with the Renfrew County and District Active Aging Network (RCDAAN). "In particular, we want to focus on perceived barriers to participation," said the project's coordinator, Kathy Eisner. "We'll be holding education sessions indoors and group walking and cycling events outdoors. Experienced facilitators from OVCATA and RCDAAN will teach and encourage safe participation at events across the County. Through these organized activities, seniors will gain the knowledge and experience to continue safe cycling and walking individually or in groups." 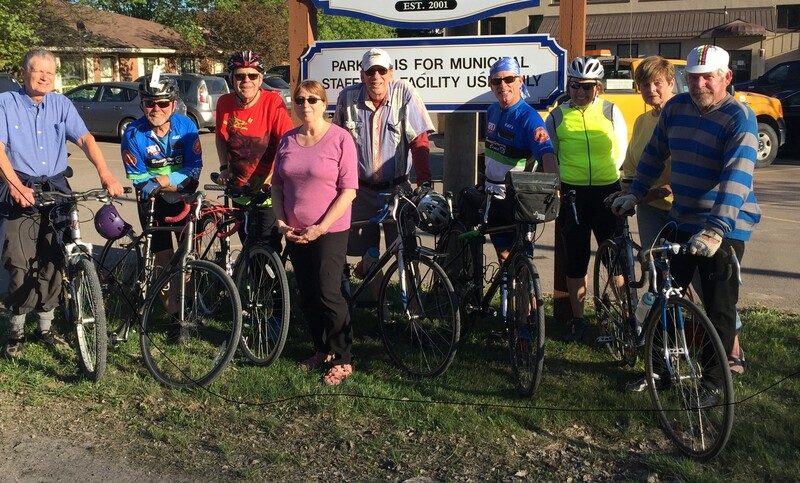 Under the program, OVCATA will hold or participate in approximately 30 events in communities throughout Renfrew County in May and June that will give seniors opportunities to participate in group walking and cycling activities. At each event, information about healthful and safe participation will be presented. There will also be an opportunity to socialize over refreshments and to provide feedback to the organizers. "Through these organized activities seniors will gain the knowledge and experience needed to continue safe cycling and walking individually or in groups," said Ms. Eisner. "And we expect to have a lot of fun!" All participants will be invited to participate in community rides organized by OVCATA or in which OVCATA is a partner, as well as the sessions tailored to seniors that will be offered through local seniors' groups. In addition, a report on senior participation in Active Transportation based on participation data collected, identified perceived barriers and feedback from seniors will be prepared and made available to municipal and county councils. OVCATA's members hope the project will promote age-friendly community development by giving seniors opportunities to present ideas for improving cycling/walking infrastructure in their communities. These ideas will be included in the report available to the municipalities and county. They want to keep the activities focused on the safety and well-being of seniors. "Promoting activities that can be carried on with little or no equipment through the senior years will provide long-term benefits in terms of health and well-being," said OVCATA co-chair Pat Krose. "We also hope the project will help break the isolation found amongst rural seniors through the social inclusion found through these accessible group activities." More than 300 seniors are expected to participate in events with the project.